Losing Sanity: Get Healthy: We're Done. It's Over. I'm Through. Physically, I'm pretty healthy.Can you hear the sound of me knocking on wood? I eat right, exercise, don't watch too much T.V., walk instead of drive, don't smoke, etc... In fact, I'm so healthy that it's probably kind of annoying, which is why I'm not going to write about that kind of healthy. Mentally, I'm less of a paragon of virtue. I worry, angst, agonize and indulge in relationships that are anything but healthy. My husband, who is not on the list of unhealthy relationships, has long said to me, "Stop wasting your time on these people who make you miserable." Which, like all good advice, is easier said than done. Especially because some of the people who make me the most miserablest (I'm in the middle of a confession here, please don't correct my grammar or spelling) are tangentially related to me. 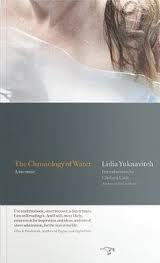 This year my book club read, The Chronology of Water, by Lidia Yuknavitch. It's an autobiography and the author talks about creating your own family filled with warmth and love. Instead of letting the flow of negative, hate-type speech wash me down into the gutter I decided to back away, slowly, from certain relationships that are the equivalent of toxin-filled car wrecks. Even though I made the decision, it's still hard to let go. This weekend I took the first definitive step to backing away, in the most twenty-first century of ways. I did some unfriending on Facebook. The first thing I felt was a sense of loss. It felt reckless, like I had cut away a part of my life that had always been there, which is true. It always has. The second thing I felt was relief, the bone-deep kind. I'm free from Facebook-feed stealth bombs of generalized hate and negativity. True, it's a small step, but it felt skywriting enormous. It left me thinking about family; not the kind that tries to draw blood with venomous words, but the other kind, where love is a given and unconditional. If you aren't borne into that kind of extensive network, it's up to you to create it; your tribe, your friends, your village and your life filled with love. We get the love we accept and I'm getting healthy by insisting the loves in my life be radiant and poison-free. Labels: Get Healthy. Mentally healthy. I think this bloghop was intended to be lighter. uh-oh I made it dark. I hope I don't get a blogging time out. Blogs. Writing. Family. Health. Nothing physical is of any use without our mental health. I lost my super fit brother to despair. It's all about balance too, because being unfit can often effect out mental health just as being miserable can make us lethargic, and lead to poor diet choices, drug/drink self medication, etc. Good point. I hope you continue to succeed in kicking negativity to the curb. I do this myself, and chose to ditch those who'd bring me down and few years ago. There is no good in bad relationships. So get rid! I loved that you chose this topic. It's so easy to get caught up in the negativity and feel like we must put up with it in order to be a good person. Last year I did the same thing--cleaned out my facebook list. It's given me the chance to actually reconnect with my real family. The people that are positive and that I should be spending more time with. You can't control family, but you can limit exposure. Smart to back away from the negative. 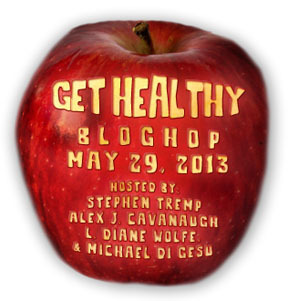 Thanks for participating I our blog hop. Yes. So many times yes. I know this feeling all too well. Stepping away from people that are toxic to you is so hard, especially if they are family. I have worked long and hard to create my own family, my family of choice, that loves and supports me in all my weird craziness. I have worked very hard to limit my exposure to the less pleasant people in my life who like to cut me down and belittle my life choices every chance they get. I have no room in my world for that type of negativity, and no one should tolerate it. I just did some epic unfriending and it made me want to do a little dance. Sometimes it's so necessary, isn't it? Mostly I'm a person who can sort of let things roll--I don't take the opinions of others (about me) very seriously and I don't invest a lot of time an energy in people who drain me. But there are exceptions. Thank you for posting this. It's a reminder to me to keep negativity in check from those who are close. YES - and I'm going to hire a plane and skywrite that word, I think, in honor of your cutting yourself loose. Fly free, Johanna! We love you! I, too, have similar issues with negativity from relationships. I so related to this post. Nice to meet you in this blog hop, Johanna. I love the last few lines of your post. Johanna, we could be sisters! LOL. I'm the same way. I feel physically well, but I struggle internally with worry/anxiety about things. 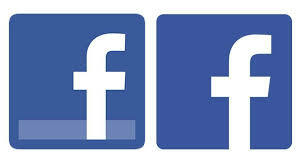 And love your brave leap with facebook. What a great idea. I am proud of you for backing away! I had to do this a few year-it was hard. It was my husband's family that was toxic for me. Yeah, I know-difficult, but he understood. Mental and emotional health are so important. Good luck finding your happy spot! Unfriending on Facebook can be a strangely liberating thing. Negativity can be a drain on even the most positive of people, and although it might seem tough at the time, sometimes cutting people out is the best thing to do. That sounds very healthy, indeed. Charity, it really is freeing, isn't it? Beylit, I think too many people tolerate toxic attitudes of other people in their lives. Rachel, it's one of those funny no-brainers! Hart, I'm trying to get rid of all the exceptions. Michael, that's the tricky part...dealing with those who are closer. Hi Karen, nice to meet you too. Glad you could relate. Thanks so much Ella, the family connection made it that much harder. This is one of the best "getting healthy" posts I've seen today. Bad vibes can ruin your health for sure, even if you eat perfectly and run marathons. Staying positive is fundamental. Great job making that change. That's a huge step. You bring up an excellent point about health. Negativity and the resulting stress can be a big hindrance to being healthy regardless of how physically fit we are. Very important considerations in this post. This is the first mental health post I've read today (I think... I'm sure?) and very important. Thanks for sharing. I'm so glad you came by today. It nudged me to pay a visit. Your words make me feel at once, soothed and energized. It's something I've been thinking about a lot too. We all have those toxic relationships, mainly with relatives. Letting go via facebook or whatever IS a monumental step. Congrats, and thanks for inspiring me, Johanna. Yes, the head should be in the right place - helping ourselves, but there is no reason to suffer the insufferable. It does feel good to lighten the load sometimes. Great post. There comes a time to decide the right and wrong! Negative people feed on our attitudes. Sometimes we need to stop and make sure we aren't the negative ones, too! Johanna. I have a tribe of made family. I love my family, I do. I also believe in letting people be who they are and love and like them despite it. I came to the realization that family and some friends will never be what you want or even need them to be. So I just except them as they are. Doesn't mean we're bosom pals. Having said that, I will also say, I have some pretty firm boundaries for my mental health and well being. Because mental stress will flow into the physical. I don't need it. I've also had to draw back from the toxic wasteland family and longtime family friends. I'm not inclined to be around negative people. Who says I, or anyone, has to do that? So I limit my association. I don't make a big deal of it with trumpets and cymbals clashing. I simply withdraw. There are times, when there are family functions, these people will be present. I'm pleasant when approached but I don't go out of my way to interact. There are no invitations, given or accepted, to dinner or anywhere else. Bottom line, this choice is healthy for you. And it's a valid choice for not only you but your immediate family circle. I'm glad you wrote about this. Good post! I love this post. I prefer to surround myself with positive people and those who are supportive. I've pulled away from family members who've struggled with the latter. And I don't miss the negativity at all. Skip the head trash. You're probably better off splurging on a large order of french fries twice a week. All that worry can't be good for anyone. Good for you on taking steps to worry less and reduce your anxieties. Johanna, I have been blessed to be among a great and loving family. There is not one of my family members I feel any desire to not be around. I think a lot of it comes from being close with all my aunts and uncles and cousins when I was growing up. You raise some good points though for many people I know who are not as fortunate as I. I see it every day at work. Good post, Johanna. I know a few people who have completely left FB because of the negativity. Although I have some strong political differences with most of my family -- and this came out during the last elections and continues to arise over various news items -- so far I have just blocked them from my newsfeed rather that unfriend them. They won't know that their posts are invisible to me. That said, I once shared a cartoon (It was Nikola Tesla, leaning against Doctor Who's TARDIS). The original poster was "I F*ing Love Science." My mother called me up and yelled at me. I am 48 years old, and I got yelled at for using THAT WORD on Facebook. I could not get her to understand that I hadn't used it, and after the fifth round of her telling me how embarrassed she was, I had to delete it. By the way, I am tickled that your kids are enjoying my book. I would've thought they were a little young for it, but I'm glad it provided a conversational topic! I know what you mean. It's hard to be around people who do nothing but put you down or make you feel bad about yourself. One reason I'm a loner (for the most part) is that I decided a long time ago that I would rather be alone than be unhappy with other people who didn't care about my feelings. This is so relevant and so true. Balanced lifestyle is difficult to achieve. Good job on picking this topic. Of course health doesn't just mean physical! And it's easy to forget about that as people with perfect bodies are always shown. Thanks for reminding me I need to work on my mind and body this summer. I have spent a life time trying to get my mother to do this. She has toxic people who she feels bound to by blood...I'd always tell her to keep the negative people at arm's length and find people who are nurturing and put your time there. I never had the courage to unfriend, but I did figure out how to hide negative people's feeds. It took me YEARS/DECADES to realize this. Toxic people in our lives, even if we love them, hurt us. It is the TOUGHEST of decisions, BUT we MUST put ourselves first. How can WE, be a good friend, husband, wife, father, mother, etc. IF WE are not at OUR best. Negativity is so TOXIC AND is spreads faster than any wild fire. We have all heard the expression "misery loves company"... WHY? Why must we condone this attitude and least of all ACCEPT IT! THAT FIRST step is a major LEAP... because it IS the hardest. I have cut many out of my life and it is still hard. But I am happier. I'd rather have one or two beautiful two or three sincere and lovely people in my life than TEN of the OTHER KIND. As we get older, it is a chose. Life is hard enough. Happiness is so fleeting and LIFE so SHORT. Thanks for you inspiring and awe so needed post. If more people take this initiative, than MAYBE, these people will GET that YOU NEED A LIFE CHANGE! Perhaps that's just the slap in the face they need. Have a wonderful weekend and THANKS for joining the HOP! I'm better at my fb list than my real life. Extremely hard to un-neighbor people. And the thing is, they are not awful. They don't swear at my kids or throw stuff on my lawn. They are just toxic--to me and one of my kids. Which makes it like toxic squared. I've backed away from the r-ship but sometimes they are...HOME. Good for you, anyway. Missed reading your blog. Been away.